In 2060, almost one third of the European population will be 65 years or older. Ageing is thus not only an individual but also a societal challenge. And it is a challenge we have to prepare for on time and in many ways. One very important factor is that of participation: The chance to participate in our society at various levels is crucial for an active, meaningful and healthy life in older age. Age-friendliness, that means accessible and available services and environments, is obviously a major prerequisite for participation. 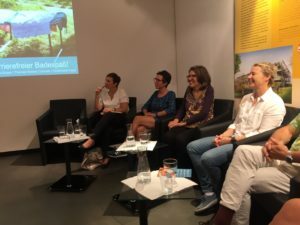 Public authorities and service providers are responsible for and profit from making their services and public spaces more accessible to all – including older citizens and customers. Older people as experts of their own life know best how services and public spaces should be designed and organised to meet their needs. They want their voices be heard, their experiences be acknowledged and their skills be actively used and valued. What is Mobility Scouts about? 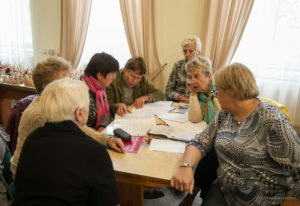 The overall objective of the project Mobility Scouts is to involve older men and women in decision making processes and enable and empower them to contribute to the creation of age-friendly environments and services as co-producers. The core idea of the project Mobility Scouts is to train older men and women to initiate co-production processes. 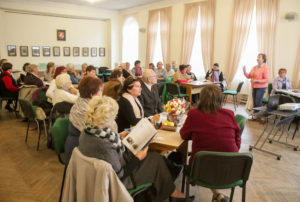 As “agents of change” Mobility Scouts bring together older citizens and local authorities and service providers to cooperate in the development of age-friendly environments and services. What do we mean by co-production involving and led by older people? The Mobility Scouts partnership shares the belief that older men and women have a lot to contribute to make services and environments more accessible. We are convinced that local authorities and service providers can learn from their experience and skills. Co-production is a way of bringing together different voices and perspectives in order to create opportunities and find innovative solutions. Who is Mobility Scouts mainly for? 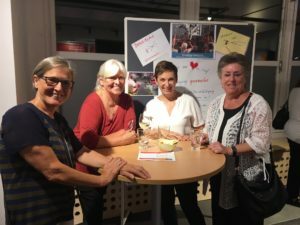 Older men and women, who are interested in becoming active as Mobility Scouts and in initiating a co-production process involving older citizens, local authorities and services. Older men and women, who are interested in making their voices heard and contributing to make their living environment more age-friendly. Local stakeholders (e.g. 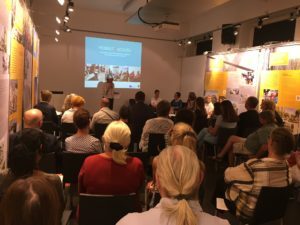 local authorities, policy makers, companies, service providers, social actors), who are interested in involving older men and women in improving their services and public spaces. How we are going to implement Mobility Scouts? EUROPEAN RESEARCH on the status-quo of active citizenship of older people in creating an age-friendly environment in partner countries and other EU countries. 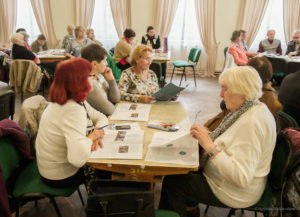 ELABORATING AND IMPLEMENTING A TRAINING: Based on a joint curriculum in each partner country, older men and women will be trained as Mobility Scouts and initiate co-production processes in their living environment. 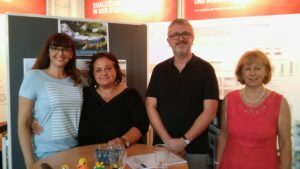 PUBLICATIONS: Organisations and local authorities obtain low-threshold information on co-producing age-friendly environments with older people in the Sensitization Handbook for Stakeholders. The Toolkit for Practitioners will be an excellent basis for organisations and persons working with older people and interested in supporting them in initiating and implementing a co-production process. An ONLINE TRAINING COURSE enables people interested in participating as Mobility Scouts in regions, where no Mobility Scouts Training is offered. The Online Training Course offers learning units, guidelines for practical implementation and descriptions of co-production projects.